......but did I mention our new little miniature schnauzer? And have you see this little miniature schnauzer??? Well what's a girl to do when her husband doesn't 'do' Valentine’s Day?? 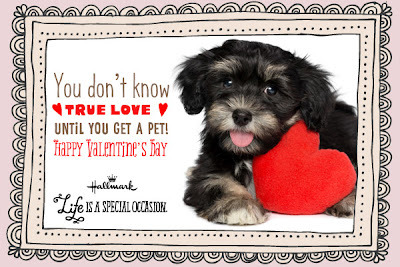 It seems Hallmark are a bunch of animal admirers too as they've designed this card to let you show your love for your furry friends. On the Hallmark website you’ll find a great selection of Valentine Cards for everyone, including those with four legs (but please - no birds or fish - we really need to draw the line somewhere). 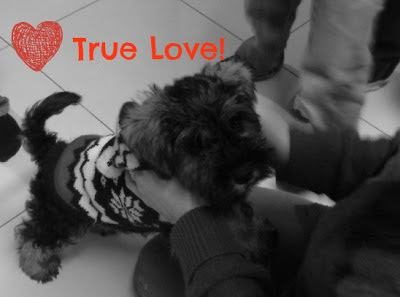 Now all I need to do is teach the dog to order on line and this years Valentines Day is bound to go swimmingly!